We recently made a trip to the Brynkir Woollen Mill in Golan, Gwynedd, North Wales. The weather was drizzly and we could hear the sound of the mill stream before the mill appeared out of the mist. The mill is one of a handful of woollen mills still in operation in Wales, and produces traditional double cloth bedcovers known as tapestries, as well as other woollen products. The tapestries are made of 100% new Welsh wool, so hard wearing and breathable. They are also fully reversible, with a different colour dominating on the reverse, and finished with short fringes on two sides and the mill’s own label. We bought two tapestry bedcovers, one in a sea salt blue and coral for my daughter’s bed, and another in more muted, natural tones for the guest room. 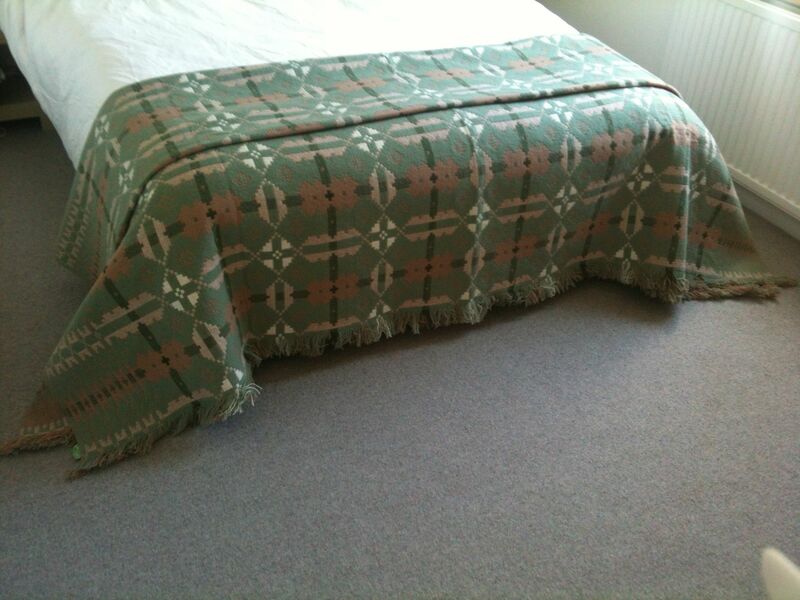 These blankets are adding some warm, soft colours into our bedrooms, and celebrating Welsh heritage. Similar Welsh blankets from the Great English Outdoors featured in the August issue of Living Etc magazine. For a truly comprehensive catalogue of Welsh blankets, nursing shawls and carthenni (woollen bedcovers) visit Jane Beck’s virtual ( and real) Welsh blanket emporium. Sorry, I got re-directed from a Welsh blog and didn’t switch! 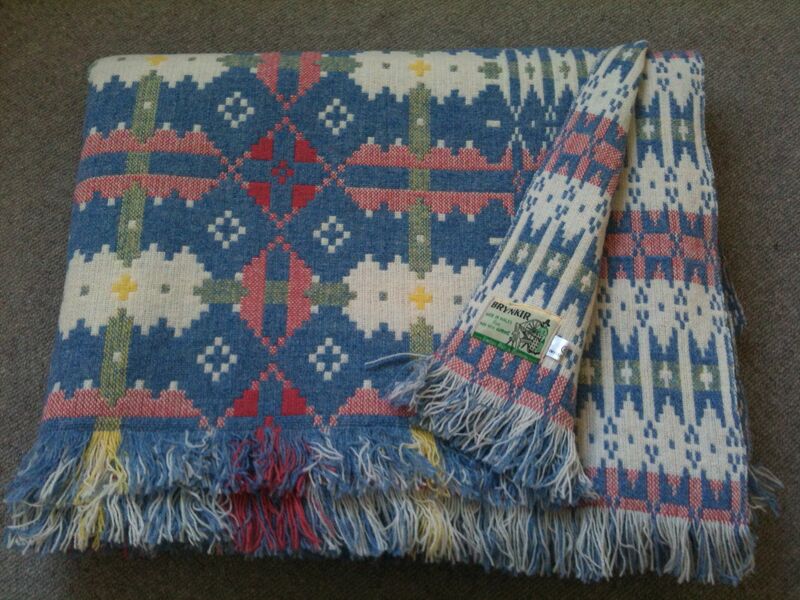 I mean to say that I’ve two welsh blankets from Melin Tregwynt, out in west Wales. They still smell of sheep and lanolin and are lovely to cuddle up in when I’m feeling homesick. How lovely….I have a few pieces from Melin Tregwynt so look out for them on future posts! Love this and your site overall! I review fun souvenirs (local, mostly handmade but other fun stuff too). Would love to get in touch for some ideas before my next UK trip.